The bike museum. 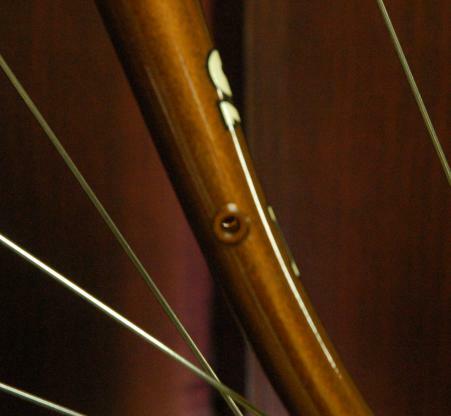 A simple use of Web space to share a little information about my family's growing collection of bicycles, various projects and other cycling-related tangents. 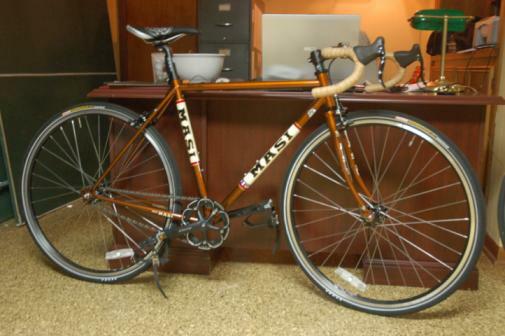 I was quite surprised yesterday when my wife gave me a 2008 Masi Speciale Commuter for Christmas. 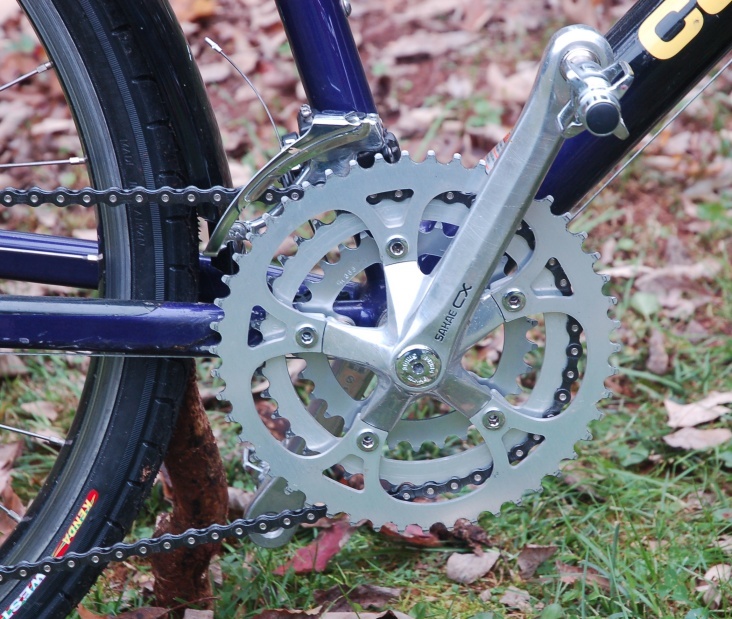 This is a real 'swiss army knife' of a bike that comes set up as a single speed bike, but has all of the braze-ons, rear frame spacing & rear derailleur hanger to add as many gears as would make a guy happy. 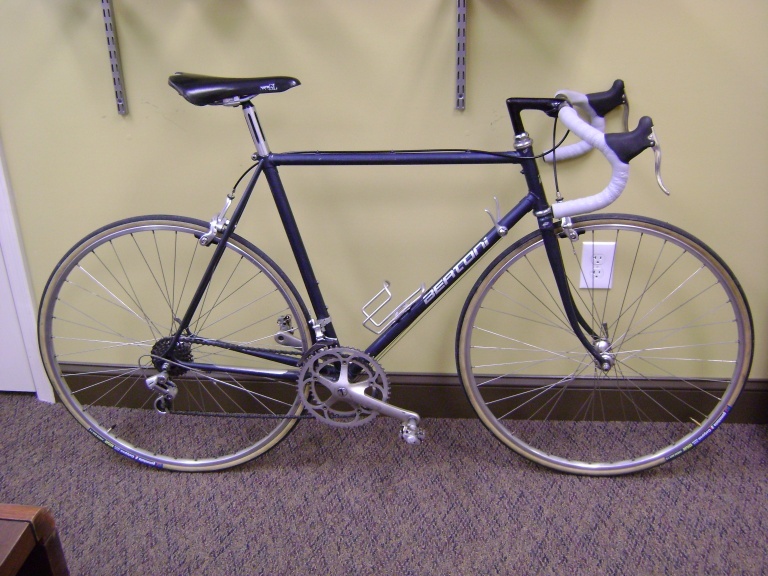 I would imagine ultimately the bike will end up set up with a compact double front chainring and 9 speed rear + bar end shifters + (probably) fenders....which, by the way, is what Masi is selling in their '09 line as the "Randonneur". The bike's not hard on the eyes, and a nice ride too! 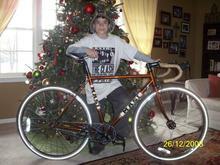 Here are some pics of it with the family + one to show the really cool curve of the handlebars.....very cool! No, not talking about meth...this is an example of yet another fine fixed gear bike build. 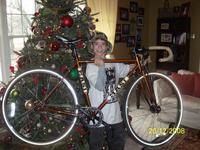 This started out as the benign 24" wheel youth Raleigh Scout 18 speed mountain bike. Bought for $25, we used it for a few years like that. 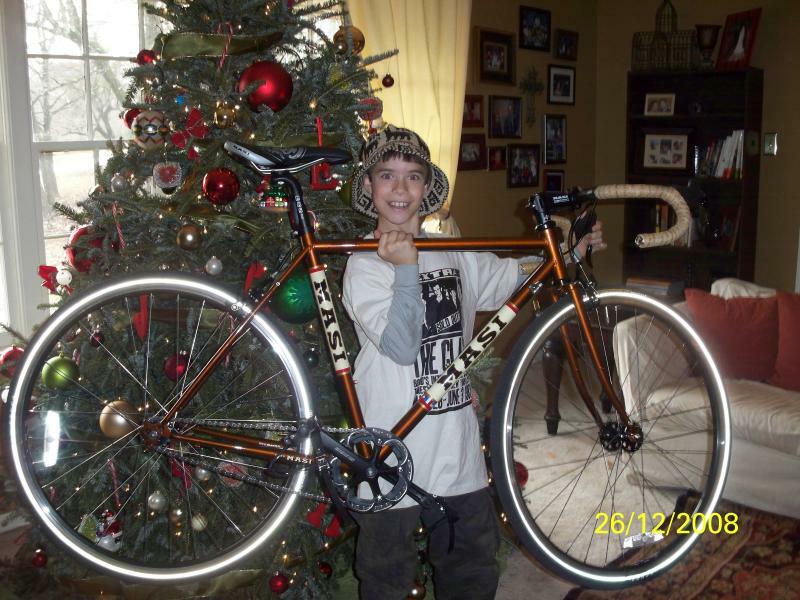 Then, the bike became a parts donor for other bikes around the house after its main rider outgrew it. The front derailleur shifter, seat, tire, left brake lever, and a few cable guides were used on other bikes around the house....and then the frame sat looking rather forlorn. Since my son had been itching to have a fixed gear bike so he could do all those cool fixed gear tricks, a brainstorm struck. 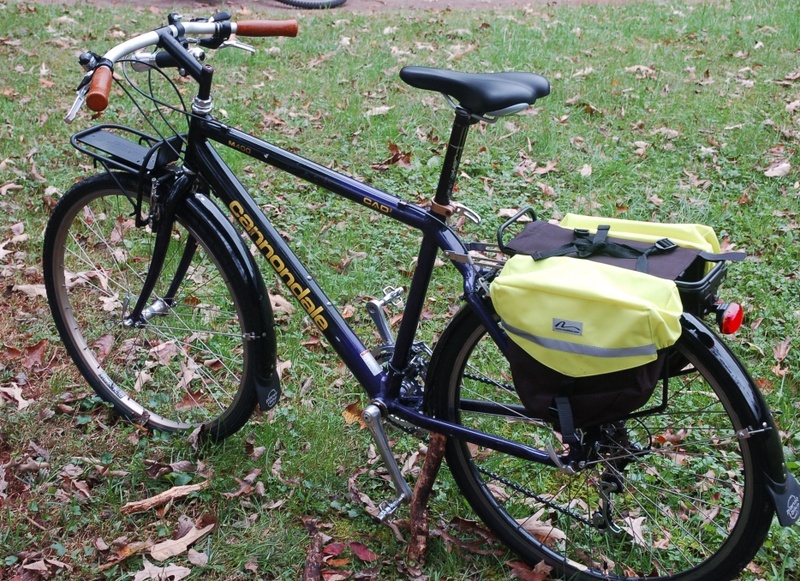 In probably a mere half hour, I had a 24" wheel from a JC Penney road bike welded securly to a fixed gear state, slapped an old Mongoose seat on & installed the stem & (chopped) handlebar leftover from the Cyclocross Hardrock project on it & here you have it! 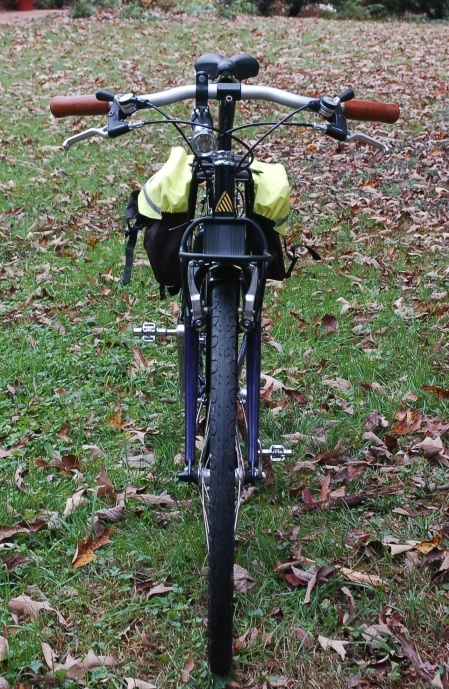 In true Appalachian redneck glory, the redneck fixed gear (sorry, can't bring myself to say "fixie"). It works. Hey, it still offers 12 gear ratio selections (the smallest cog was basically sacrificed in favor of a wide weld) & its rider is having great fun around the yard. It doesn't have all the trappings (bright colors, pads, hip geometry, cards in the spokes) of the real urban machines, but it does offer cool mis-matched wheels, chopped rise bars and some cool vintage cages. 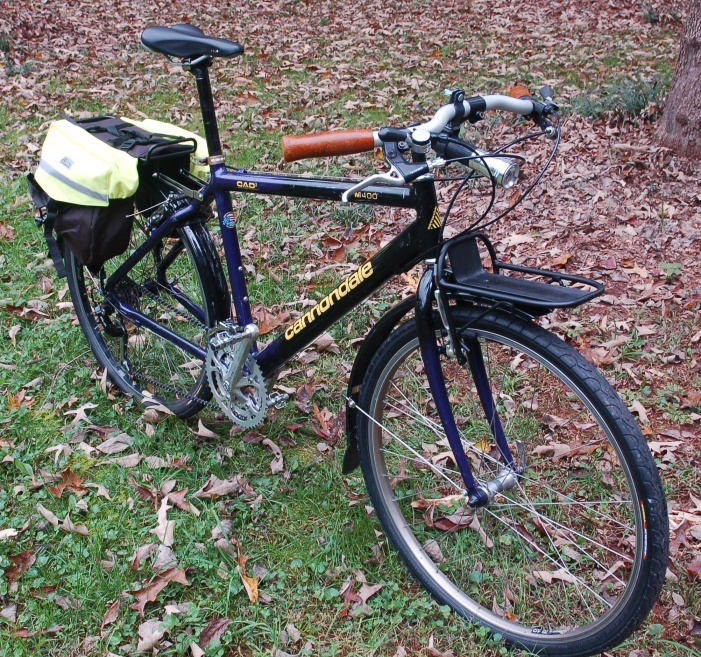 Well, not really, but this is the Super Vitus 980-framed 1984 Peugeot in its new incarnation: La Piste. If Bianchi can have a Pista, why can't Peugeot have a Piste, right? 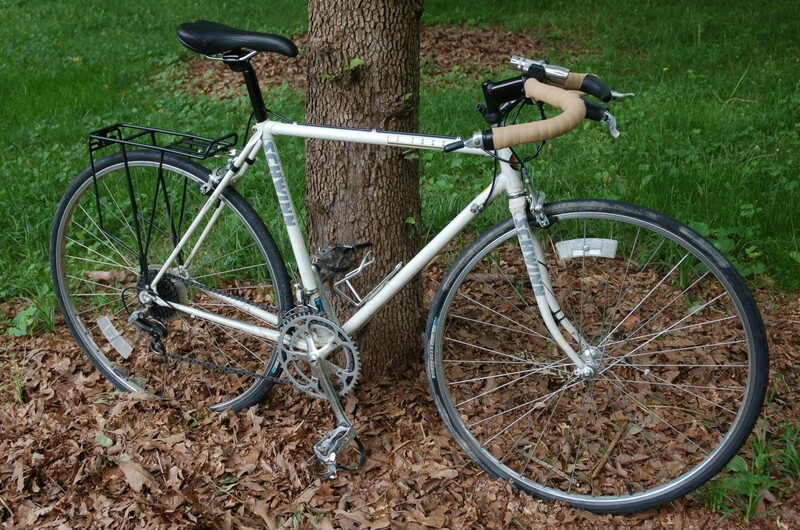 Well, seriously, this is just a fixed gear conversion of a nice classic road-framed bike that was in desperate need of "rescue" from its current state of being (see previous post). 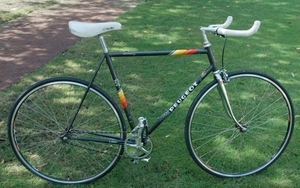 The frame is untouched in its '84 glory, wheels are Vuelta with a Formula track hub in the rear. None of the braze-ons will be removed. 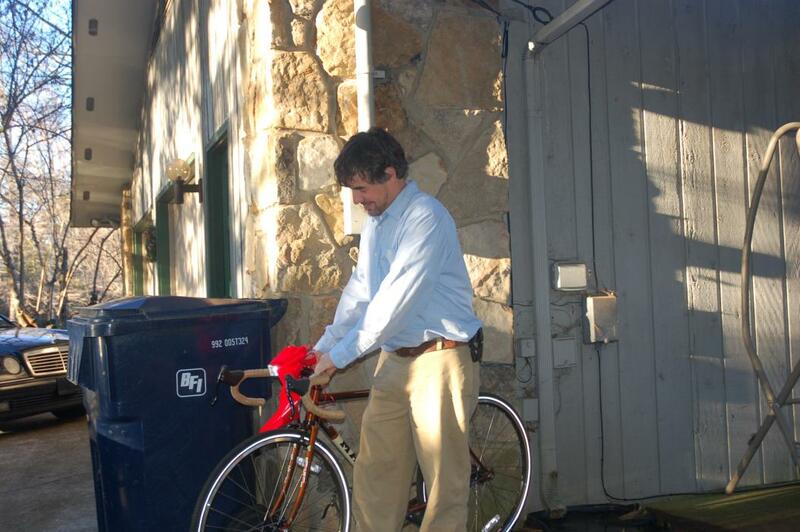 The saddle is actually the original seat to my Bertoni. 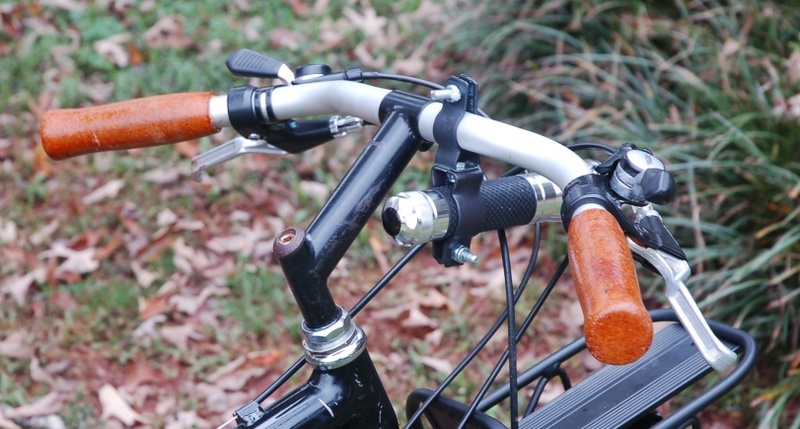 The bars are the original Peugeot drop bars flipped and cut into bullhorn style bars. 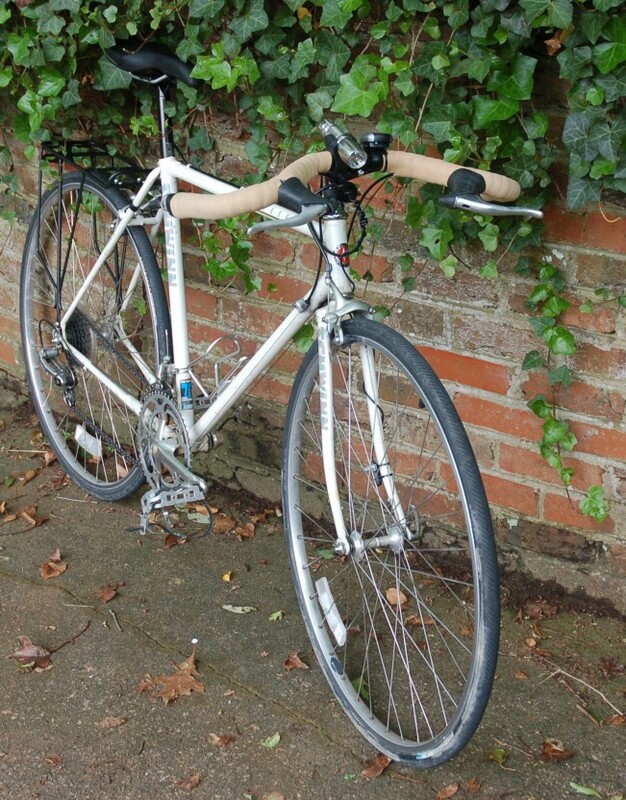 For a front brake, I used a spare Shimano 105 front brake with a MTB style lever from our parts-o-plenty Raleigh Scout that used (now, only rear) cantilever brakes. 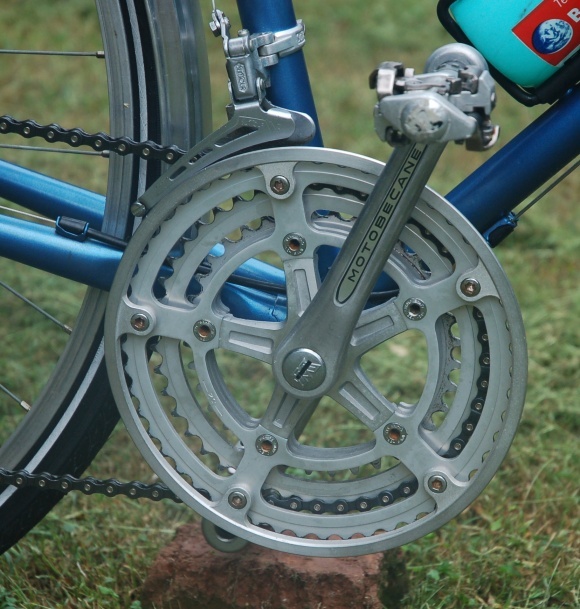 The chainring is the original Stronglight (BCD 122) 42t and the rear gear is 16t. 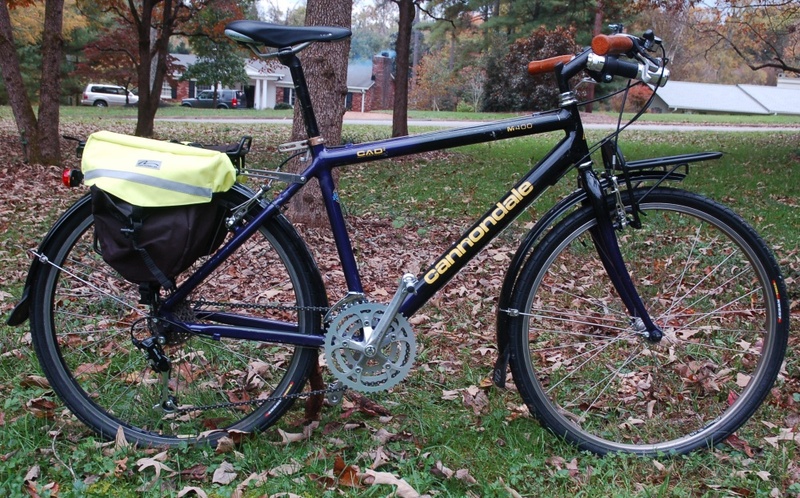 Overall, the bike still need some cleanup and detail, but rides very nicely. 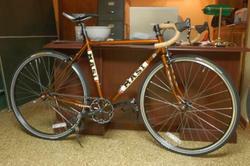 Now, its the rider's turn for work...getting used to all the muscles fixed gear riding uses! Jeez!